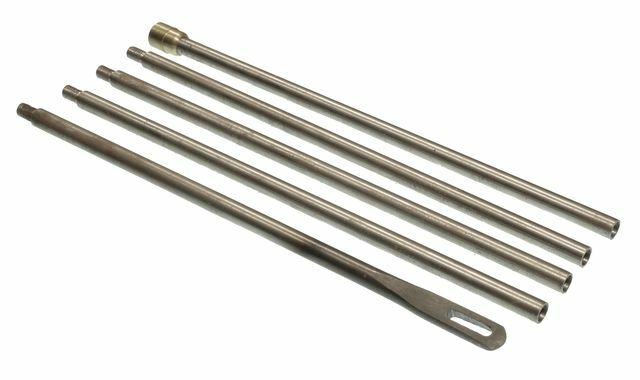 1866, 1873 - 1876 WINCHESTER CLEANING ROD SET, 5 piece steel rod set measures 35 inches when assembled. Includes 1 brass end section, 3 straight sections, and 1 slotted section. Correct for 1873 - 1876 and 1886 Winchesters. Will also work for 1860 Henry Rifles, Reproduction.